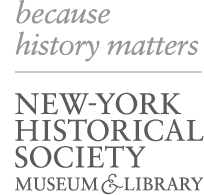 A highlight of the Center for Women’s History, Women’s Voices is a multimedia digital installation where visitors can discover the hidden connections among exceptional and unknown women who left their mark on New York and the nation. Featuring interviews, profiles, and biographies, Women’s Voices unfolds across nine oversized touchscreens to tell the story of activists, scientists, performers, athletic champions, social change advocates, writers, and educators through video, audio, music, text, and images. Women’s Voices continues to grow as we add new media and new profiles to the exhibit. Among the many fascinating profiles featured in Women’s Voices are those of the first Latina Supreme Court Justice, Sonia Sotomayor; Nobel Prize-winning scientist Barbara McClintock; civil rights activist and poet Audre Lorde; the first woman to receive a medical degree in the U.S., Elizabeth Blackwell; award-winning actress Meryl Streep; Brooklyn-born opera star Beverly Sills; Seneca leader and artisan Caroline Parker Mountpleasant; trailblazing dancer and principal ballerina Misty Copeland; the Manhattan Project physicist who was snubbed by the Nobel Prize committee, Chien-Shiung Wu; Gilded Age novelist Edith Wharton; and the teacher whose 1854 lawsuit helped desegregate public transit in New York, Elizabeth Jennings Graham, among others.